Here are some photos of five limited edition Epic 580 Slate builds that have been planned probably a year ago. Finally found the time to build these special blanks this winter. 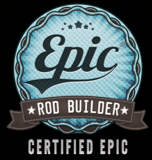 When Carl came up with the ideea of me building five unique Epic rods I was pretty stoked about it. I wanted them to be super special. And I really like to do some new cool stuff every time. These five builds had to be "identical". This would be my first attempt to build five rods the same way. With all the colors in the Epic blank line, I still wanted something different. Slate came to mind and this is one of my favorites. However, it was only a limited run. A special wood to match this color was utmost important. This was a tough call. I remembered about some graphite rods I did in the past that contained buckeye burl wood. A unique marble like wood specimen that some thought is a good match on greyish blanks, graphite at the time. I was able to find a gorgeous piece of buckeye that was stabilized and died gray. I thought this was the my best bet. The exceptional Bellinger uplocking hardware in matte dark plated aluminum was also a limited production. These are "state-of-the-art" reel seats with more modern design, beautiful knurling and light as a feather. 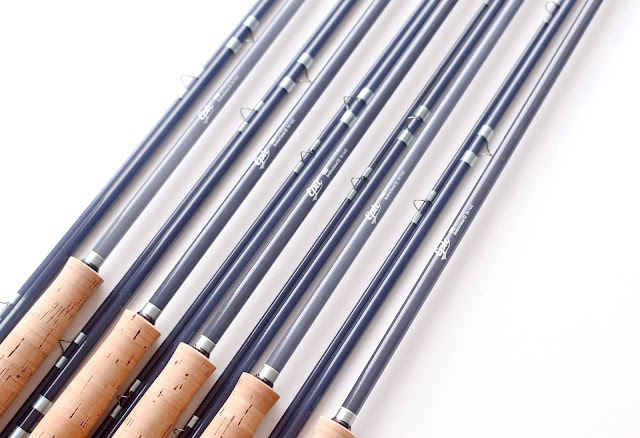 Like I said, this color combination reminds me of some older, very classy graphite rods. I think the Epic 580 has the best of both worlds. The smoothness of glass and the power of graphite. 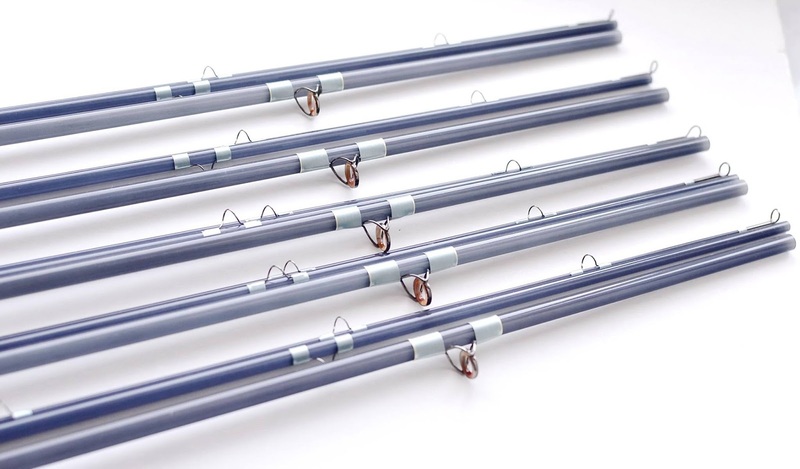 First glance, it looks more like a graphite rod due to the color and fittings. Once you start casting this "graphite like" fitted glass rod on a bright sunny day, the color of the blank will come alive. The translucency and feel will tell you it's glass you are casting. 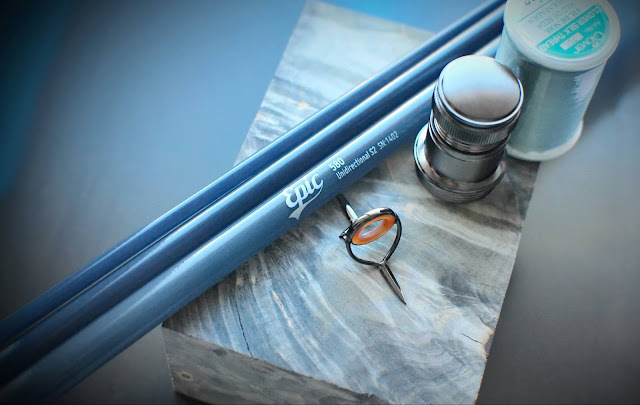 The Epic 580 is quicker than any other glass rods and the workhorse of the Epic fiberglass line, and makes for a versatile rod. Some folks can lay out very long casts with it. 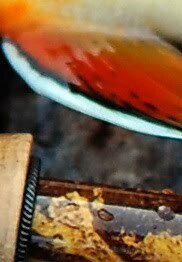 The agate stripping guide sure was intended to give some life to this "unusual" blank color without being too striking. It is a trout rod after all. The handle is a very comfortable snub-nose half wells. Most folks like this shape, it's super comfy and provides great control. 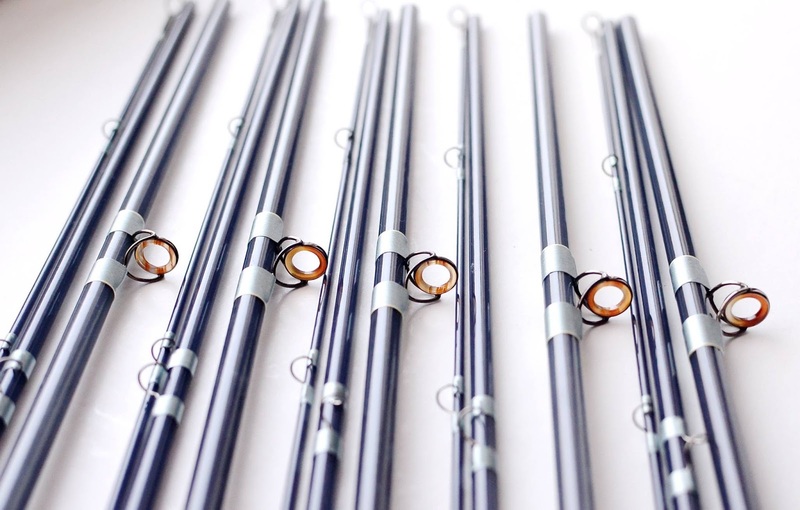 The simple translucent silk wraps tipped a subtle yellow at the ferrules and stripping guide make for an understated rod, built to perfection and will last a lifetime or more. These Epic limited builds are surely "one-of-their-kind".